How to get the best screen dimmer for Windows 10. Well the best screen dimmer concept is already available as a Browser extension. 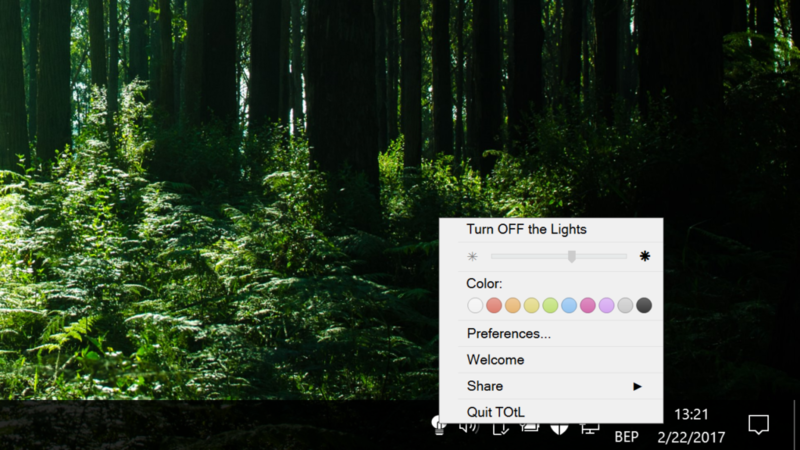 And on the Mac, with the launch of the ‘Turn Off the Lights for Desktop’ for Mac computers. Today we have great news for Windows 10 users! It is now possible to automatically protect your eyes late at night with the ‘Turn Off the Lights for Desktop’ Windows 10 App. When you installed the new app on your computer, you will see that it adds a white lamp button left on your the clock. And just like in the browser extension, you can activate the black transparent layer with one single click or finger tap. It’s the only and most advanced eye protection app in the Windows Store. That all with the white lamp button in your taskbar. 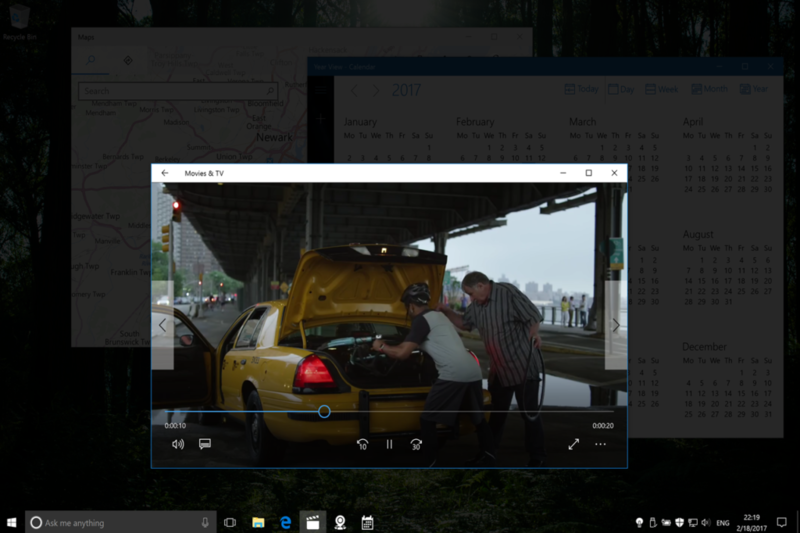 You can download the screen dimmer for Windows 10 Desktop app now on the Windows Store. The minimum requirement to install this new Windows Store app is Windows 10 anniversary 1607. What can I adapt in this app? Highlight the current opened program on top of the dark layer, such as the video player app. 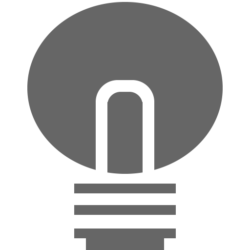 The ‘Turn Off the Lights for Desktop’ Windows app is a free update for the existing users, and they will get a coupon in his email box to download this new version for his Windows 10 computer.